Welcome to our cartoon archive. I'm Mo Douglas and I hope you enjoy some of the cartoons we've come up with. 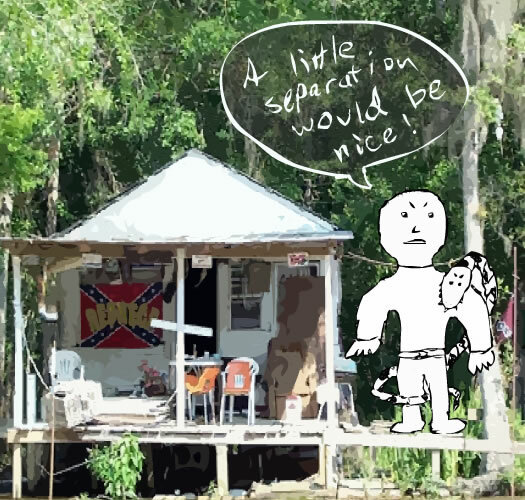 This is a drawing from podcast 4 illustrating the desire for some animal separation and why we prefer zoos over Louisiana! Click image below for other toons!